Singapore | April 6, 2017– Passengers using the Singapore Airlines mobile app can now get free digital magazines on their device. Powered by SITA DigitalMedia using Adaptive technology, the new feature is available on the Singapore Airlines app on both iOS and Android devices. Access to the free reading material is available to passengers before, during, and after the flight. One For the Show, One for the Dough, and News for All! The Lumexis press release said it all best about their announced deal in Portland: Lumexis Corporation today announce that their Fiber-To-The-Screen (FTTS) In-Flight Entertainment system has been selected by Caribbean Airlines for installation on their fleet of B737 aircraft. “We are extremely pleased to welcome Caribbean Airlines as our latest airline customer,” said Jon Norris, Lumexis Vice President Sales. 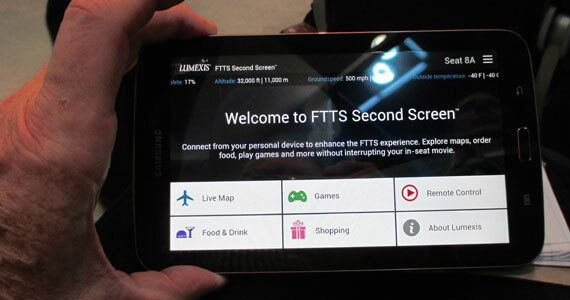 “In addition to continuing the in-service success of the FTTS system, Caribbean Airlines are the launch customer for FTTS Second ScreenTM which enables passengers to use their own tablets and smartphones simultaneously at their seat without interrupting the entertainment running in the FTTS HD monitors.” IFExpress understands that eight of their B737 will be initially involved. In case you don’t know the airline, Caribbean Airlines operates more than 600 weekly flights to 19 destinations in the Caribbean, North and South America and the United Kingdom. The airline’s fleet of 21 is comprised of Boeing 737-800, Boeing 767-300ER and ATR72-600 aircraft. Headquartered in Trinidad and Tobago, and with an operational base in Jamaica, Caribbean Airlines employs more than 1600 people. The airline is a member of the International Air Transport Association (IATA). Lou Sharkey, President and Chief Operating officer notes, “We are delighted to partner with Caribbean Airlines to bring to their passengers our award winning Inflight Entertainment system”. “Partner” is a good word here and we note, the key concept is to increase customer entertainment choice over their many worldwide routes. We understand the first install will occur in June of 2016. APEX has just announced that vendor attendees at the APEX TEC conferences will now be charged a fee to participate. As this changes a long-established tradition of TECs being a benefit of membership, IFExpress asked APEX Technology Committee chair and APEX Board Member Michael Childers to explain the reasons. IFExpress: After years of offering technology committee meetings as a member benefit, why are you now charging? Childers: There are several reasons. One is that these meetings have, over time, evolved from simply working meetings of various TC Working Groups, to educational conferences attended by people who are not members of the Working Groups, and who are attending for information and educational benefits. As attendance has regularly increased due to this kind of attendee, the costs of these activities have also risen. It is difficult to distinguish between today’s TECs and the Educational Meetings that we have around the world, and it seemed reasonable to begin to try to achieve parity between the TECs and the Educational Conferences by charging vendor attendees who come for information which is of value. IFExpress: Are you saying that membership dues no longer cover the costs of these events? Childers: They do not. Nor does the combination of membership fees and the sponsorships for the TECs cover all of the expenses. Plus, as a direct expense of providing technology leadership, APEX now employs a part-time Technical Director, Bryan Rusenko, who spends a lot of his time helping to plan and execute TECs. In addition, APEX has now hired a full-time CEO, Joe Leader, and more of Joe’s time than you might imagine actually goes into industry technology and how that is communicated via the TECs. Financial management is a big part of Joe’s leadership responsibility, and he does not believe in association activities that do not pay for themselves. The Board has agreed to look at everything we do as an association and consider how such activities can pay for themselves. IFExpress: Haven’t a lot of the TC’s activities in the past depended on volunteerism rather than paid staff? Childers: They have, but technology has become such a large part of our industry that the increase in volunteers doesn’t cover it. In addition, we are facing the fact that IFEC technologies do not exist in a vacuum—we benefit from and are dependent upon open standard technologies that originate elsewhere. Content management technologies originating in the Society of Motion Picture and Television Engineers (SMPTE) such as the Interoperable Master Format (IMF); Movielabs, such as IMSC1-2 for closed captions; and the Digital Entertainment Content Ecosystem (DECE) and its Common Format, are all examples. But we now have to look beyond just Content Management and consider such questions as how would open data exchange standards impact the passenger experience. APEX cannot create those standards, but we must be sure that we align our own specifications with them and have a seat at the table when they are developed. IFEpress: What are the registration fees that APEX is seeking for the TECs? Childers: $350 for vendor members, and $450 for approved non-members. Airlines and invited press get in free. Speakers, sponsors, and some active Working Group members are free or discounted. Think 40GBASE-T puts an end of the “copper twisted-pair party”? Nope, think lower. Here is a quote from the Tektronix folks: “But in November 2014, IEEE 802.3 put out a call for interest on 25GBASE-T, driven by the likes of Cisco, Microsoft and Intel who recognized 25 Gb/s as a more efficient, cost-effective option for switch-to-server speeds in cloud-based data centers. Hence the 25GBASE-T IEEE study group was formed.” You can read more here. Ron Chapman sent IFExpress a message and it said there will be a “GRRRILLA Gala” at NBAA! Stay Tuned, we will be there! “This partnership enables Thales to provide best-in-class survey and reporting capabilities to our customers that assists them with driving revenue through in-depth knowledge of the expectations of passengers. Survey Analytics is known in the transportation industry and by bringing their product to the cabin opens up new opportunities to our airline customers” said Dominique Giannoni, CEO of Thales’s In-Flight Entertainment and Connectivity (IFEC). Creating and managing surveys is intuitive and easily facilitates what would typically be regarded as traditionally complex processes in a legacy system environment. 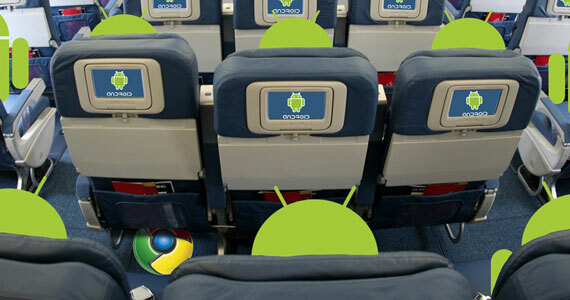 The application enables airlines to expand the set of available question types, including graphical ratings and calculating constant sums and complex matrix configurations. Using robust logic and branching features, surveys can be set up in a way that guides the passenger through the survey based on multiple previous answers. The offering includes sophisticated reporting tools that go far beyond basic tabular reporting with capabilities such as cross-tabulation, banner and pivot tables, TURF analysis and data segmentation and trending. “Our partnership with Thales allows airlines to bring our enterprise grade feedback system to the skies. Airlines now have the ability to actively listen to their passengers in real-time and proactively act on customer feedback. In simple terms, this onboard application makes engagement with customers easy” said Vivek Bhaskaran, CEO of Survey Analytics.